Anthropornis is a group of giant penguins which lived many many years ago. They were about 1.7 m (5 ft 7in) in height and weighed 90 kg (200lb), making them the largest known ever! Their fossils were found on Seymour Island off the coast of Antarctica and in New Zealand. 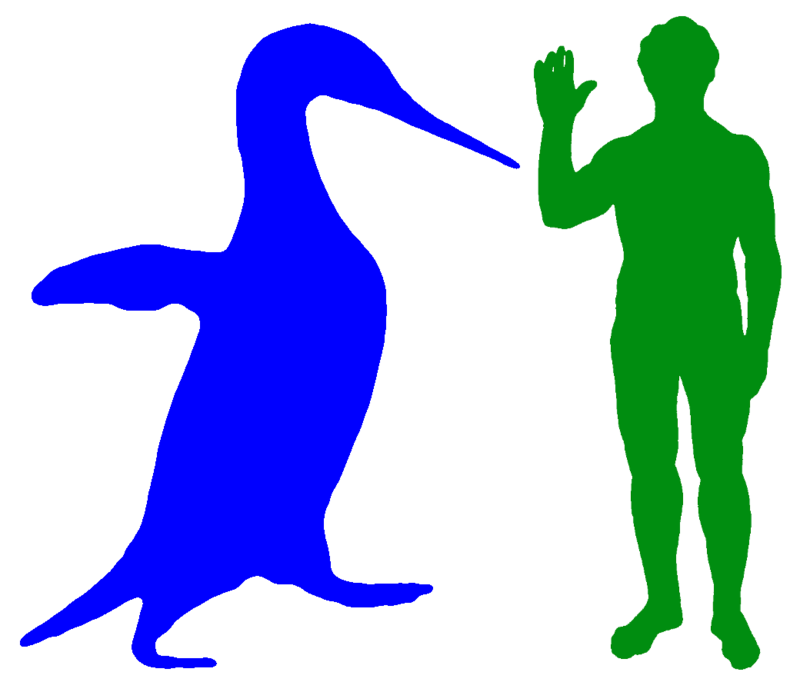 They were as tall as some adult humans, in fact their name (Anthropornis) means “man-bird”. Anthropornis and Human - Adapted from a sketch by Wikimedia user "Philip72"